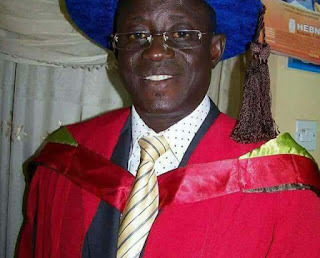 Dr Saadu Alanamu, a nominee of President Muhammadu Buhari for the post of commissioner of the National Population Commission, has been ordered remanded in prison custody by Justice Mahmud Gafar of a Kwara State High Court sitting in Ilorin. Buhari had last week forwarded Alanamu’s name to the Senate for confirmation, a year after his nomination into the board of the Independent Corrupt Practices and other Related Offences Commission (ICPC) board by then Acting President Yemi Osinbajo sparked public outrage, leading to its withdrawal. Alanamu is accused of N182 million fraud during his time as the Chairman of the Governing Council of the Kwara State Polytechnic, during which he served as the Chairman of the Kwara State Polytechnic Tenders Board. According to ICPC, which charged him to court, Alanamu conspired and collected N5 million bribe from a contractor on February 11, 2015. The ICPC disclosed that the accused collected the bribe from his friend and Chief Executive Director of Namylas Nigeria Limited, Salman Sulaiman, for the construction and furnishing of an auditorium in Kwara State Polytechnic, at the cost of N182,369, 625.00, knowing fully well that the company was not qualified to execute the project. Charged alongside the accused was Salman Sulaiman. ICPC said its investigation into the petition had revealed strong evidence of collusion, bid rigging and corrupt practices against Namylas Nigeria Limited in the bid process; and that the company used falsified, forged and doctored PENCOM Compliance Certificate, Tax Clearance Certificate and ITF Certificate of Compliance to submit its bid during the bidding process. Justice Gafar, who had earlier granted the accused bail, on Monday ordered him remanded in prison custody for violating his bail conditions. The judge further disclosed that some individuals had approached him with a bribe to dismiss the case.